Step 1. 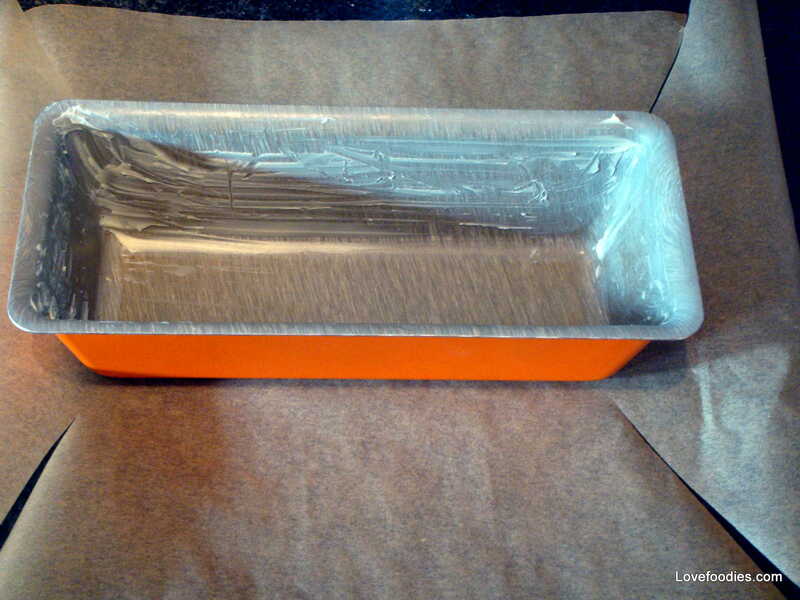 Grease your tin then lay it on top of some greaseproof paper, making sure the paper is big enough to cover up the sides of the tin. Then cut the paper at the four corners as seen in the photo. Step 2. Carefully place the greaseproof paper inside the tin, and where you have made the cuts, they will overlap as in the photo for step 2 below. Step 3. 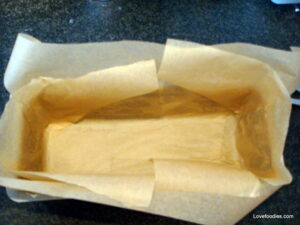 Cut off all the excess paper, and use a little butter or oil to stick any paper down if it has come away from the tin. Step 4. Hey presto! 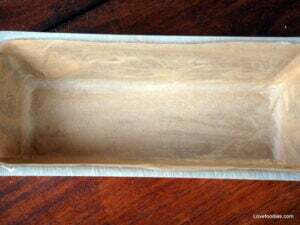 Now you have a nice neatly lined cake tin! I read somewhere your pan is 12″… what are the remaining dimensions and where did you get it? I am excited to try the Coffee Pecan Pound Cake. I am so glad I found this recipe on your site. I will be baking using your recipe for this holiday season. Looks so delicious. Thanks! Hi, I would like to see and hear how a Bundt Tin is greased and lined please. I have never used one and just got a bunt tin as a gift. I can do the lining part, but once its baked, how do i take the paper off without taking half the lost with it? Hi Alexandra, I’m assuming you are talking about a cake when you have used the paper for lining. In which case, it should peel off extremely easily because the fat (butter) from the cake will come on to the paper and make it a little greasy. It shouldn’t stick to the cake at all. On the other hand, if you are lining a pan to make something ‘dry’ or with very little fat content, I would suggest you brush the paper or spray it with a little oil. Then it will peel off easy. But for cakes, you don’t need to do that. I hope that answers your question? very useful thank you, do you have any instruction on how to line a round tin? Hi Tracy, For a round tin, lining is in 2 parts. 1. Place the tin on the paper, then with a pen, draw around the tin and cut out the circle. 3. Grease the tin inside then place the circle in the bottom, then the long strip of paper around the inside and hey presto! It’s lined. Hope this helps! Next time I use a round tin I will line it and take some pics and add it to these instructions. Sorry as it is very wasteful to grease a pan like that !! If I grease it like you have done, I will sieve in some flour all over the butter to make a coat that the cake will drop off the pan when baked and not using any paper on it !! If use greaseproof paper, I will not grease the pan but only at the point if it drop into the pan only with some of the cake batter !! Thanks for your feedback Rebecca, however, I have made this tutorial as some people would like to line their pans and this shows you how to do it. 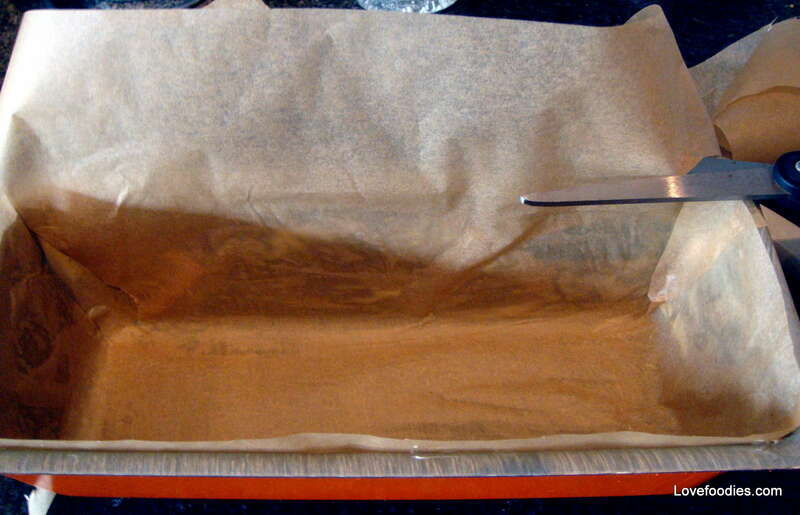 Lining a pan is not only done for the purposes of preventing a cake from sticking , but for a number of other reasons. For example, when you make a fruit cake which needs to be cooked for a long time, you would often double line a pan to reduce the possibility of the outer layer of the cake from burning, this is not possible using your grease and flour method. The pan needs to be double lined! 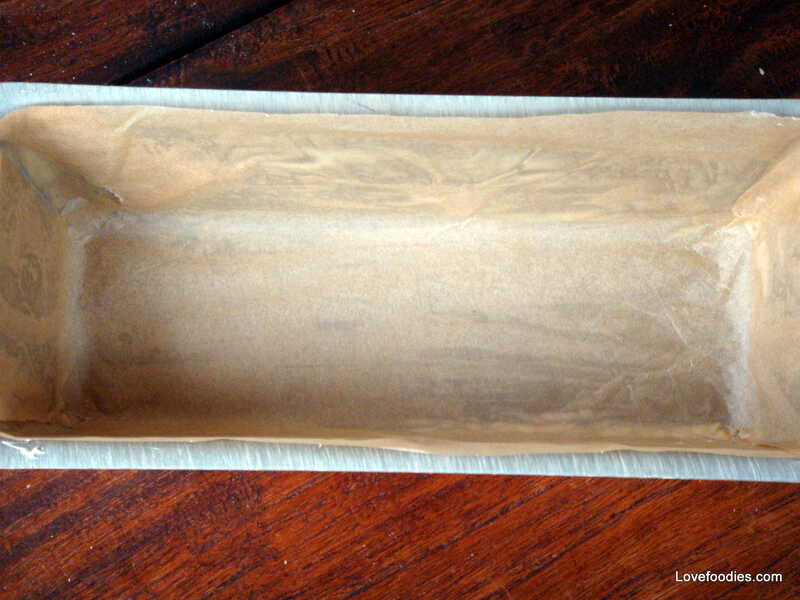 I also line my pans for ease, and when the cake is made, I leave the lining on the cake as it holds the moisture and prevents the cake from drying out, and when I freeze some cakes, I leave the lining on, wrap in another layer of clean parchment and then freeze. This prolongs the freezer life of the cake and protects it from freezer burn. 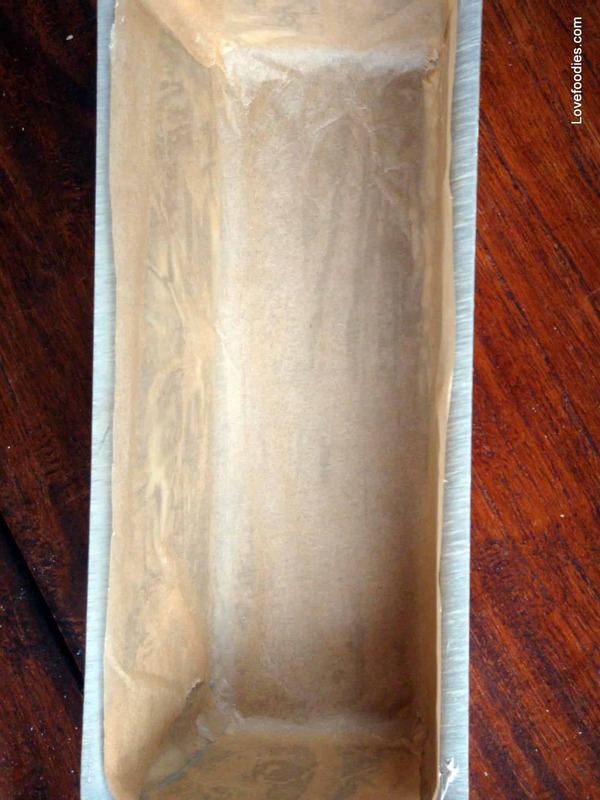 There are many methods to prevent a cake from sticking in a pan, yours being one of them, and lining with parchment being another. I often get asked how to line a cake pan as some recipes call for it, yet they never explain how to line the pan, so I have made this tutorial to help those who wish or need to line a pan. I hope this helps explain the reasoning behind my tutorial. Sounds like you have a lovely pan Bonnie! Where do you get desiccated coconut I’ve never heard of it before ? Hi Maria, I’m not sure which country you live in but you should be able to find it in the baking section of he supermarket. Also, health food shops usually have it. Hope that helps!